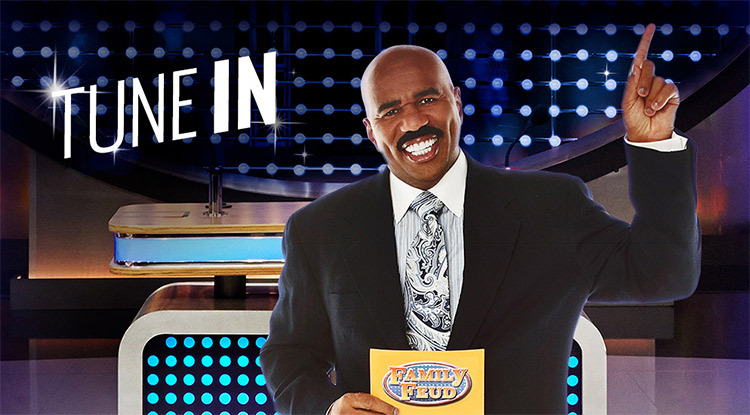 “On Your Marks, Let’s start “The Family Feud!” The long running, popular family oriented game show is back this season hosted by television personality Steve Harvey, “Family Feud is a fast-paced game show that pits two families against one another in a contest to name the most popular responses to survey-type questions posed to a 100 people. Steve Harvey is a media conglomerate personified in a man whose career began doing stand-up comedy in the mid-1980s. His success as a stand-up comedian eventually led to a long stint as host of It’s Showtime at the Apollo. His stand-up success has also led to multiple TV shows and movies, serving various roles on some projects acting, hosting, writing and producing, and his career has continued to flourish, becoming a top-rated radio host, entrepreneur, best-selling author, popular game show host on Family Feud, 2013 People’s Choice Award winner as “Favorite New Talk Show Host” for his new daytime show Steve Harvey, and 2013 recipient of a star on the Hollywood Walk of Fame.